Do you find yourself in a constant battle with fear and anxiety? For years fear has been seeking to take away the peace and the abundant life God has promised me. It seeks to do that in all of us. But God has promised that He has not given us a spirit of fear–but one of power, love and a sound mind (2 Timothy 1:7). 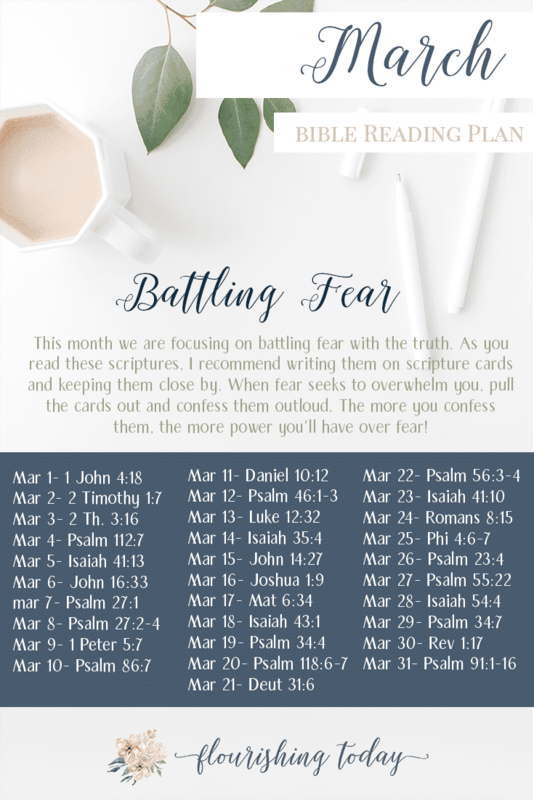 In the month of March we will be digging into the Word and discovering the powerful weapons God has given us to battle fear and win. Each week we will gain a new tool in our arsenal to battle fear. 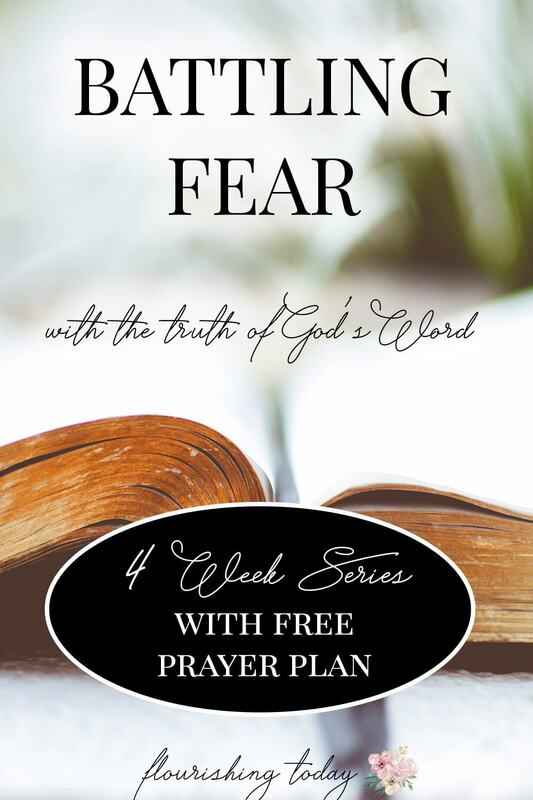 Along with these posts I’ve created a 5 Day Prayer Plan for Battling Fear. This email series will help us to use one of the most powerful weapons we have against fear, our tongues! 5 days of prayer declarations to confess over your life. Scriptures cards to carry with you. Instructions on how to create your own prayer declarations for your favorite scriptures. Downloadable packet taken from content in the 5 Day Prayer Plan. To sign up to receive this valuable resource, fill out the form below! I can’t tell you how excited I am about this series. I am believing for God to show up in a big way for each of us. Can we pray and agree for that now? Jesus, we thank You for who You are. You are our Rock and our Redeemer. We have freedom because of You! Lord, we are stepping out in faith in this series and believing for You to show up on our behalf. We’re agreeing for strongholds to be broken, bondages to be lifted, chains to be removed and seeds of fear to be plucked out and tossed into the sea. We also are believing that Your Word will take root in our hearts. As we study Your truths, let them permeate every area of our being. Let them be the foundation that we stand on. When the enemy comes to lie and deceive, help us to be confident in what You did on the cross and what You died to give us. We put our trust in You today. In Jesus’ name, Amen! I look forward to a great month filled with amazing testimonies! Want more valuable resources on fear?